This set was originally shared by the always excellent Big O magazine in January. If Big O is not yet on your radar, do check them out as they consistently unearth interesting live recordings and rare finds. 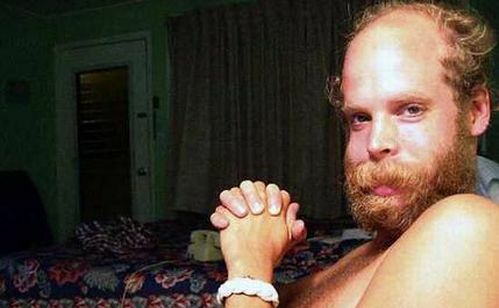 Also, how great/frightening is the above photo of Will Oldham? Bonnie “Prince” Billy & The Harem Scarem band – Queen’s Hall, Edinburgh, Scotland – April 12, 2006. Will Oldham fans will not want to miss out on this recording. Note: these eight tracks are only an excerpt from the performance as it was aired on the BBC Radio Scotland. + Visit The Hype Machine for additional Bonnie “Prince” Billy MP3s. That picture is freakish! It looks like Will is suffering from elephantiasis or something. Either that or he got jumped by some hooligans in Scotland, who beat the right side of his face. It definitely looks swollen. Thanks for the tracks! Excellent stuff.